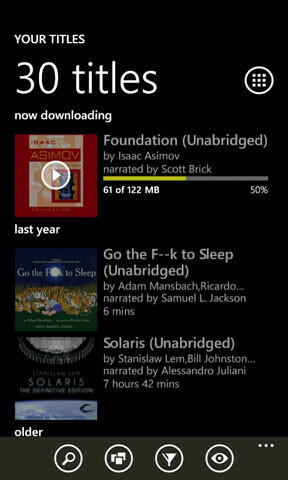 It has been a long long wait for Audible fans on the Windows Phone platform. 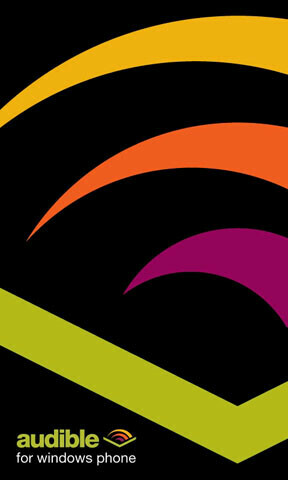 Windows Phone has been around for about a year and a half now, and we still don't have an Audible player app, but it looks like that's about to change. 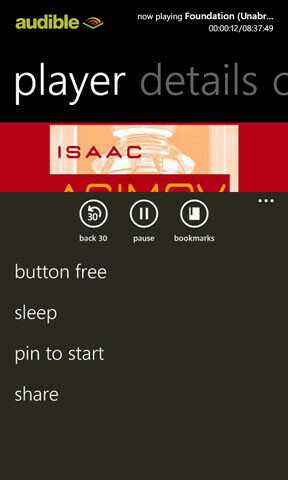 Windows expert, Paul Thurrott has gotten his hands on a beta version of the Audible app for Windows Phone, and he's been nice enough to share the screenshots of the app. 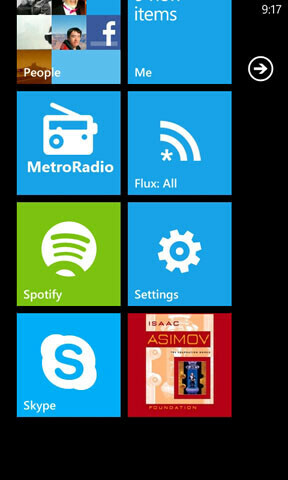 The app itself looks quite nice using the WP Metro theme. 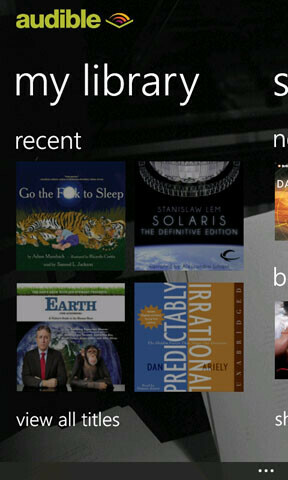 The cover images for books are big and crisp, and the Live Tile looks like it shows the book you're currently listening to. 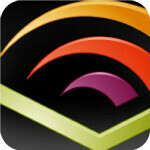 The app has what you may expect from an Audible app with a list of all your books, easy navigation to jump to any point within a book, and the app gives you easy access to all of the many stats that Audible keeps on your listening habits. No word yet on when the app will be released.